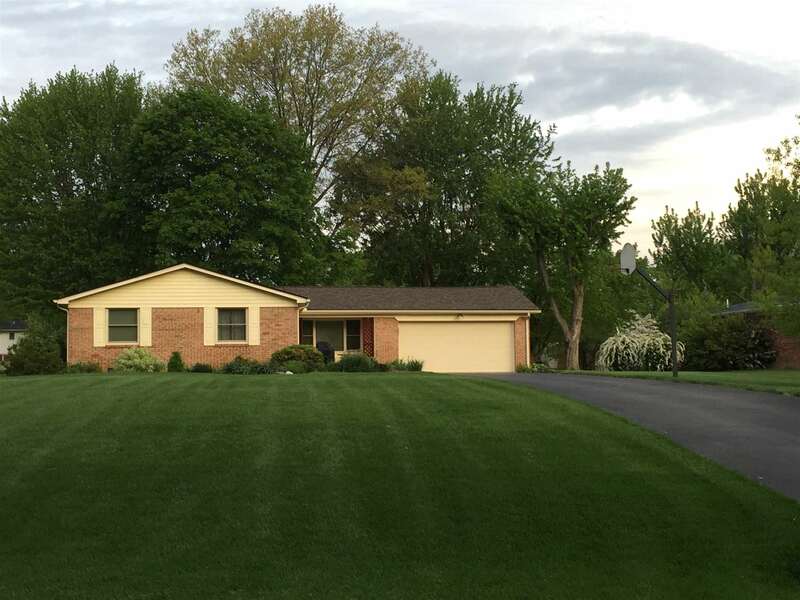 Lots of new and Amenities in this Brick ranch home. Beautiful updated Kitchen, with new cabinets, quartz counters, back splash and all appliances remain. Home has Reverse Osmosis with automatic salt filler. Enjoy the Breakfast nook while viewing the large backyard. Spacious Living room with Fireplace. Huge Formal Dining or Family room. 3 Beds and 2 full Baths. Master offers en-suite. This home has beautiful hardwoods, and lovely flooring in Kitchen and Baths. 2 Car attached heated Garage. Large driveway, concrete side walks with over 1/2 acre lot. There is a chain-link garden for your summer crops. See complete list of amenities attached.